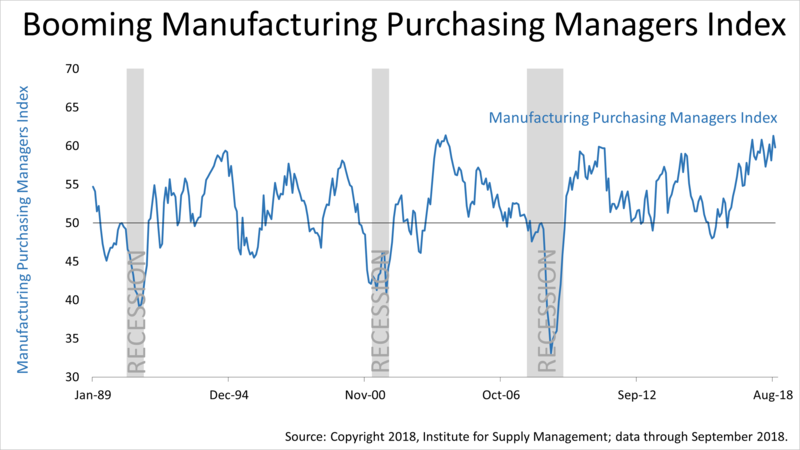 In the 88% of the U.S. economy outside of the manufacturing sector, purchasing activity soared in September, climbing to the highest level since inception of the index in January 2008. 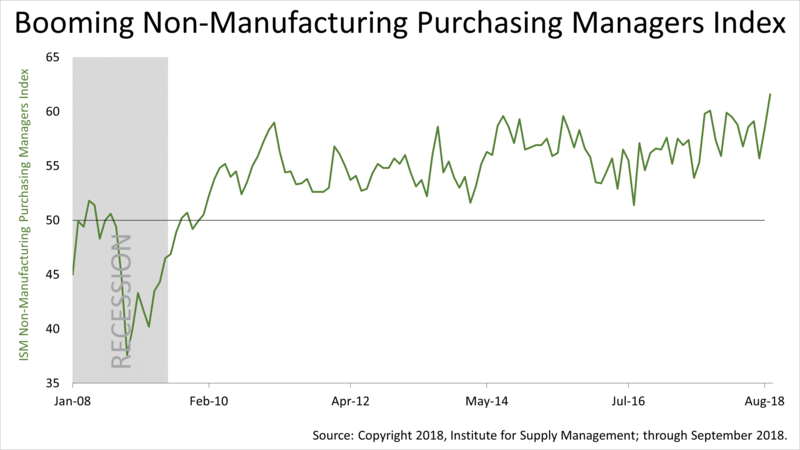 According to Thursday’s report from the Institute for Supply Management, the forward-looking new orders component of the index slowed slightly from August but remained very strong. 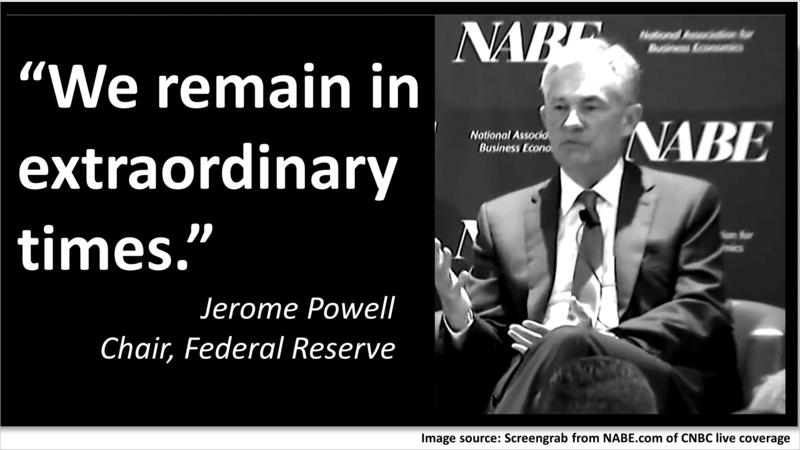 Meanwhile, the Labor Department said on Friday that unemployment, from its record low in August, ticked lower in September — as low as it’s been since 1969. Remarkably, core inflation, which excludes volatile monthly expenses from a consumer’s monthly expenses, didn’t budge. 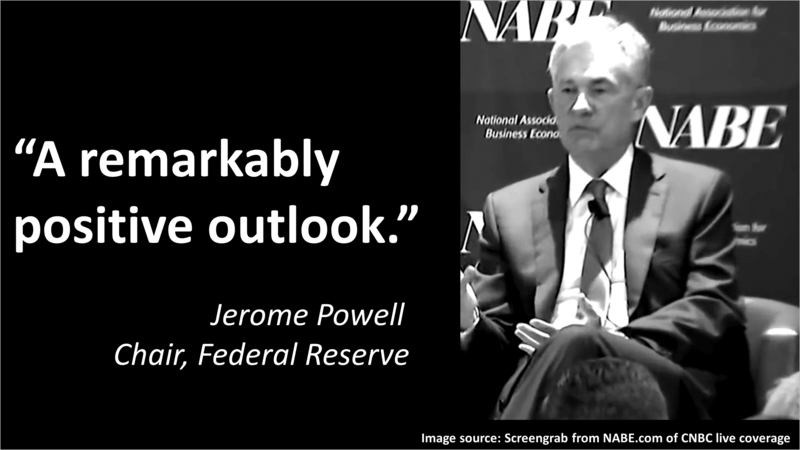 Growth without wage inflation accurately describes economic conditions currently, and in his speech, Mr. Powell said he expected more of the same in the months ahead. 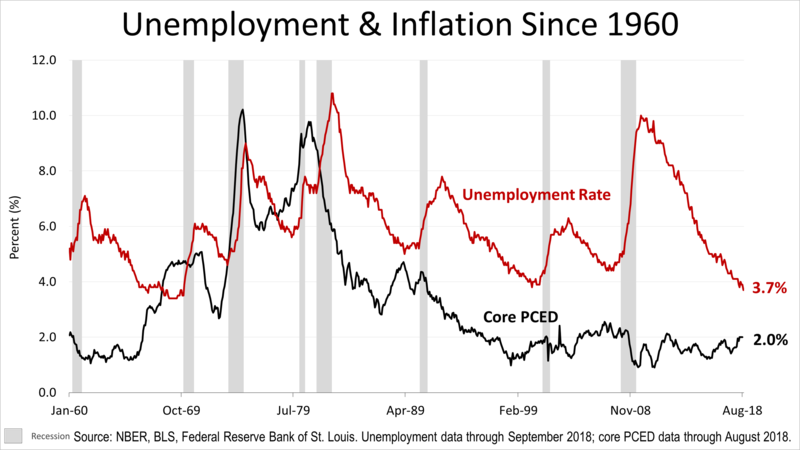 Core inflation has been “anchored” at 2% for 20 years.